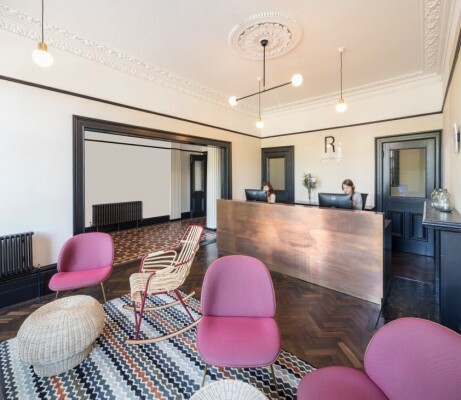 Award-winning architecture practice BuckleyGrayYeoman has refurbished a Grade I listed learning facility for a leading independent language school, Education First in Brighton. 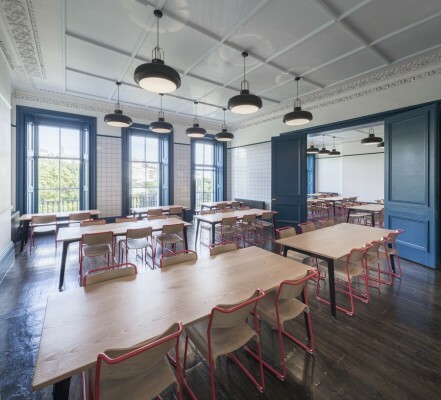 Education First is a language school housed in an 18,000 sq ft, five storey Regency building which contains thirteen classrooms, two larger I-Labs for interactive learning, a lecture theatre and a fully renovated cafeteria. 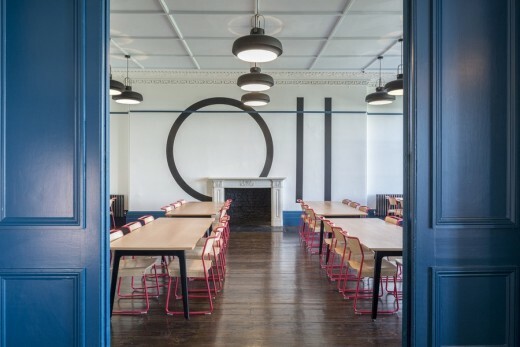 To create an inspiring learning environment, BuckleyGrayYeoman have added a strong contemporary twist to the rich historic layers of the existing Grade I listed building. 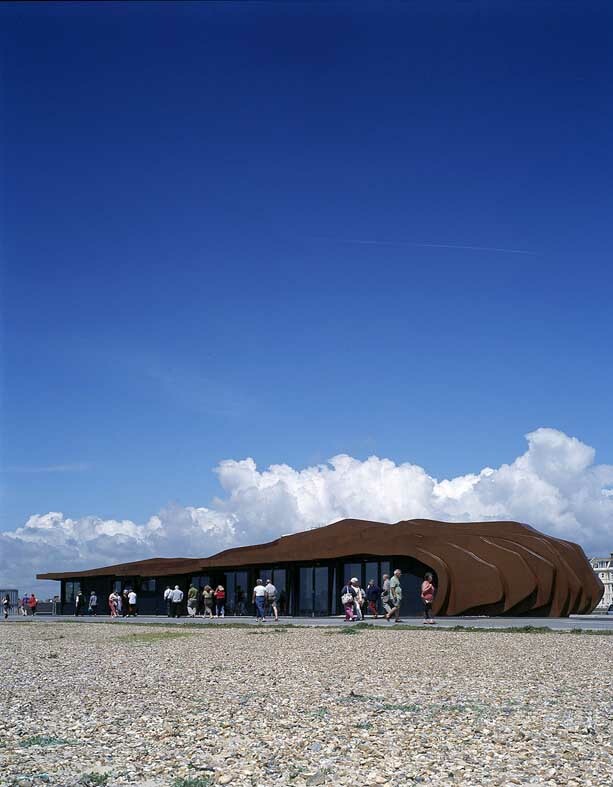 The former narrow reception has been reconfigured and turned into an open and welcoming area. 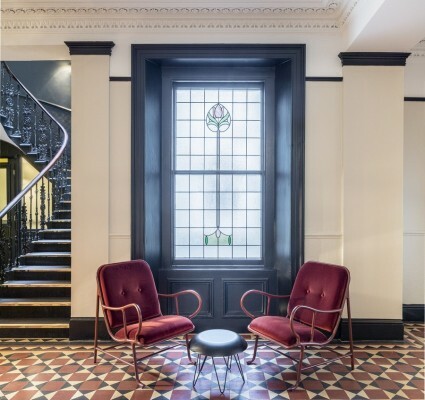 Longstanding elegance merges with playful contemporary design in the sensitive modernisation of the school, respecting the school’s rich heritage and preserving the charming original details of the building. 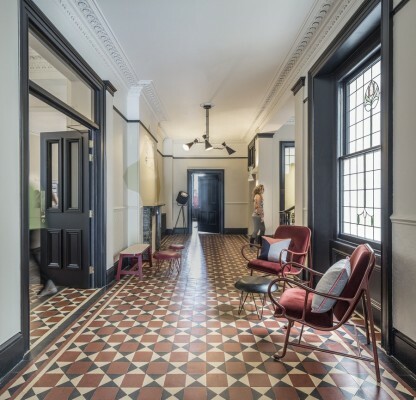 Original Victorian flooring, with its unique geometric pattern has been retained along with existing plaster cornices and decorative mouldings. 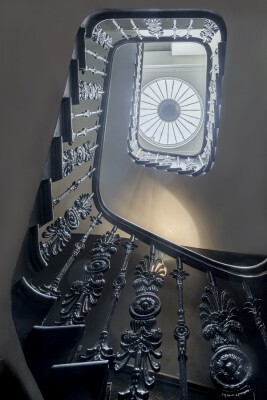 The centre of the school is dominated by the presence of an elegant lightwell, that allows light to spill into the core and compliments the stone staircase and original ornate cast iron balustrade. 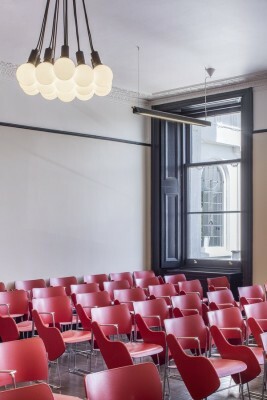 The classroom areas are retained on the second floor providing the students with open and spacious learning facilities and the larger I-Lab spaces have been relocated to the third floor, creating a rational hierarchy of learning spaces. 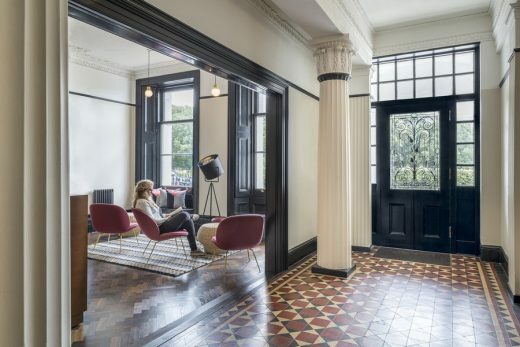 The new design comprises of a diverse selection of materials that range from innovative, woven vinyl tile flooring to traditional, elegant timber parquet, creating an inspiring mosaic of materiality, textures and colours. 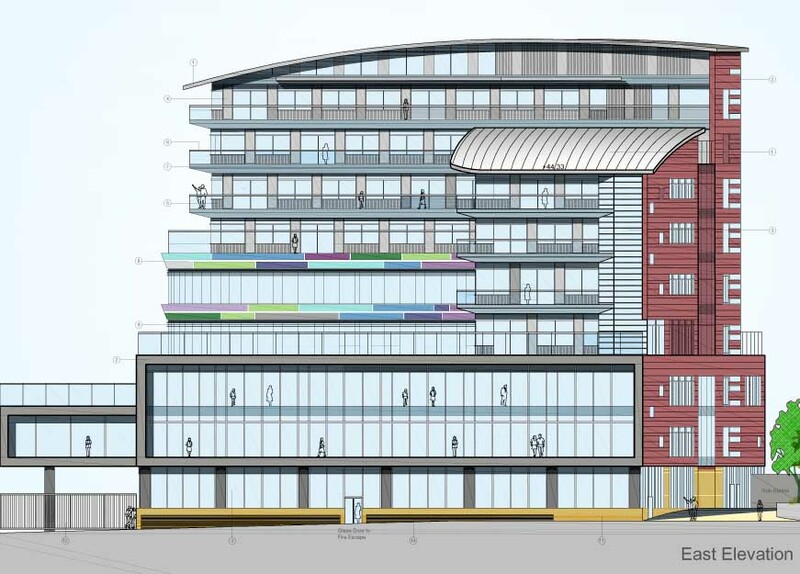 Two new buildings housing the Schools of Music and Drama designed by Eric Parry Architects for Brighton College have been granted planning consent. 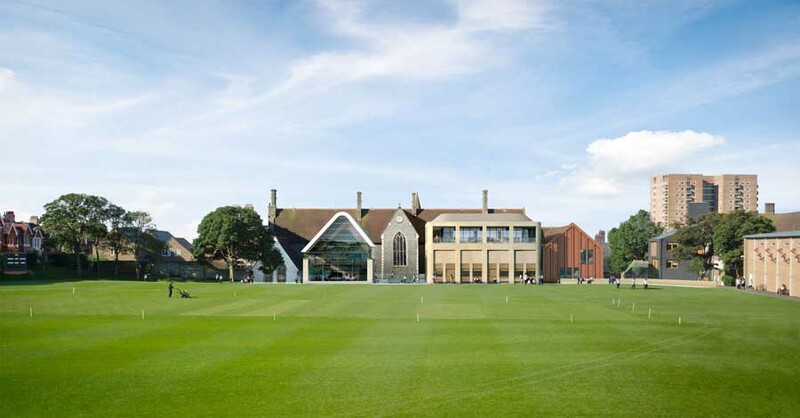 Brighton College, an award-winning co-educational private school, was established in 1845. 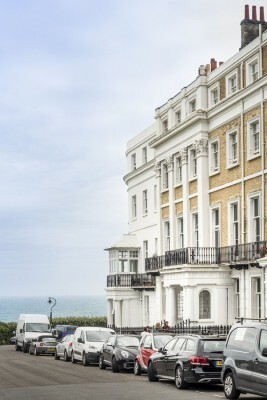 The college is on a campus to the east of Brighton City Centre, within the College Conservation Area.